Cape Albeon provides our residents with a great dining experience in our Reflections dining room. Combine the ambiance of our lakeside views and good friends with our interesting menus with all of your favorites, but also with new twists on those favorites to stimulate your taste buds. Our executive chef can be seen in the dining room chatting and mingling with the residents to ensure that they are enjoying the menu selections and their individual dining experience. It is one of the many personal touches that Cape Albeon is known for. 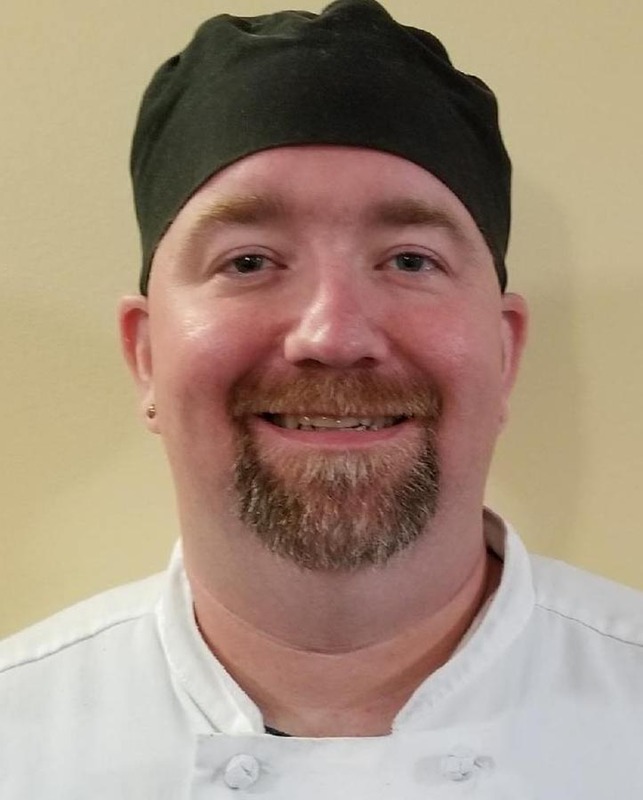 Chef Matt enjoys creating great tasting meals of both new and classic comfort food.He started with learning to cook southern comfort food with my grandmother and developed his skills in making gourmet food at some of the top country clubs in St. Louis. He also really enjoys getting to know the residents and sharing good food with them! Cape Albeon seeks to serve all seniors and does not discriminate on the basis of race, color, religion, national origin, gender, sexual orientation, or handicap.